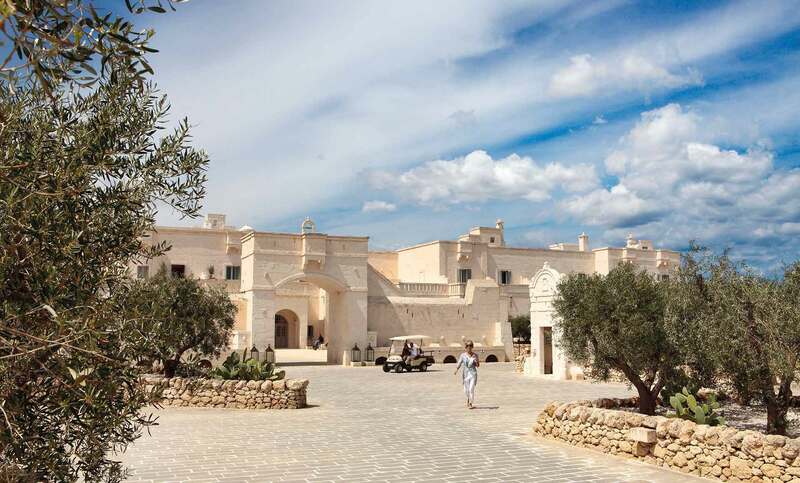 The Borgo Egnazia is nothing short of magnificent. 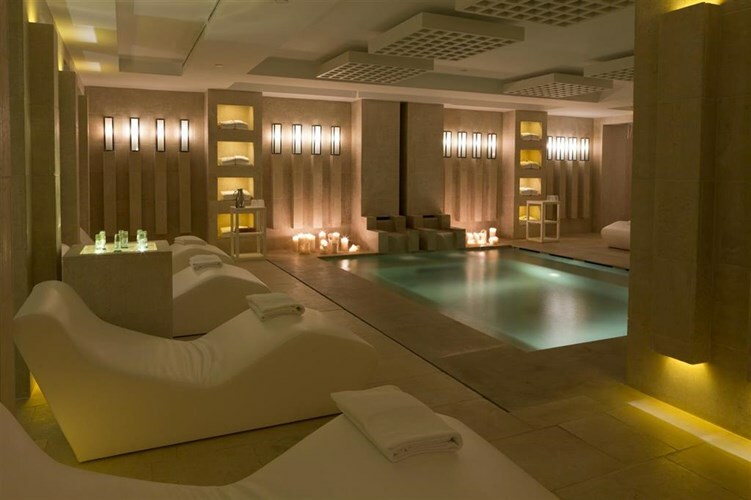 With endless activities both in the beautiful city of Puglia, and the comfort of this beautiful hotel, guests are guaranteed to have a holiday filled with excitement and opportunity. 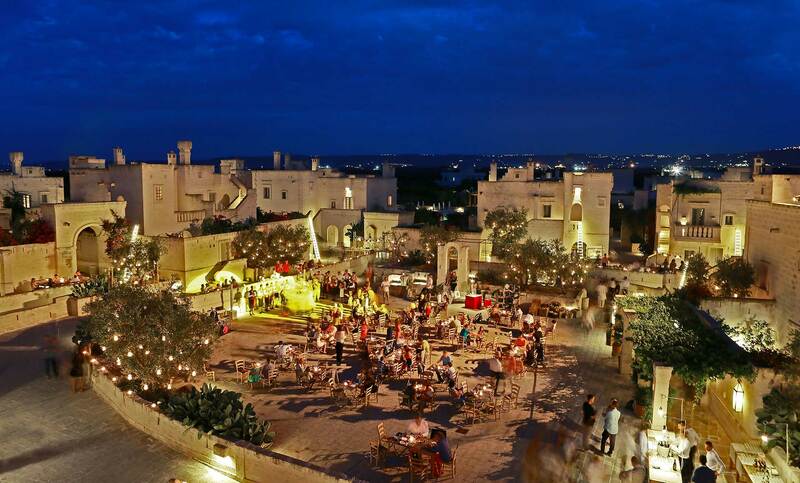 Borgo Egnazia offers excursions along with available tour guides in order for guests to experience everything Puglia has to offer. Some excursions may also be available through biking around the city with or without a tour guide. Based on the season, there are many different journeys guests can participate in. In the Fall and Winter, unique landscapes, ancient traditions, and exhibits can be appreciated. In the Spring and Summer months, many tourists enjoy local festivals, parties at the beach, and shows. Everything from relaxing at the spa, unwinding in the reading room, or finding peace through yoga, to playing golf, shopping at the Bottega Egnazia, or playing in the game room with family and friends is available guests. For families, the Kid's Club and Teen Club are accommodating to youths' wide variety of interests such as cooking, sports, and games. If parents are wishing to experience a romantic date night, babysitting is an option to accommodate to your family's needs. Many water sports such as waterskiing, snorkeling, kayaking, and fishing are accessible to guests. La Courte Bella: Ideal for a romantic getaway, this Superior Room up to 37 sqm features a king-size bed, private balcony overlooking the pools, the hills and the Borgo Village. The bathroom is carefully furnished, a perfect synthesis of tradition and modernity, offering a double sink, tub and large shower. La Courte Bella Sea View: The ideal room for a romantic getaway. Superior Room up to 37 sqm features a king-size bed, private balcony with sea view.The bathroom is carefully furnished, a perfect synthesis of tradition and modernity, offering a double sink, tub and large shower. La Corte Splendida: Even more comfortable, a king-size bed available to release stress and begin a true holiday. The view from the balcony or the terrace of the hills, swimming pools, or golf course wisked everyone away. The room up to 46 sqm is designed for a couple, but it offers the possibility to add a cot or another bed. Some rooms can connect to other Deluxe Rooms or to the Grand Suite to accommodate a larger family.The bathroom is carefully furnished, with telephone, double sink, tub and large shower. La Corte Magnifica: Two rooms starting from 60 sqm to make the most of out of a holiday.The living room features comfortable sofas and a refined stone table for romantic in room dining. The bedroom has a magnificent king-size bed to relax and a private terrace. 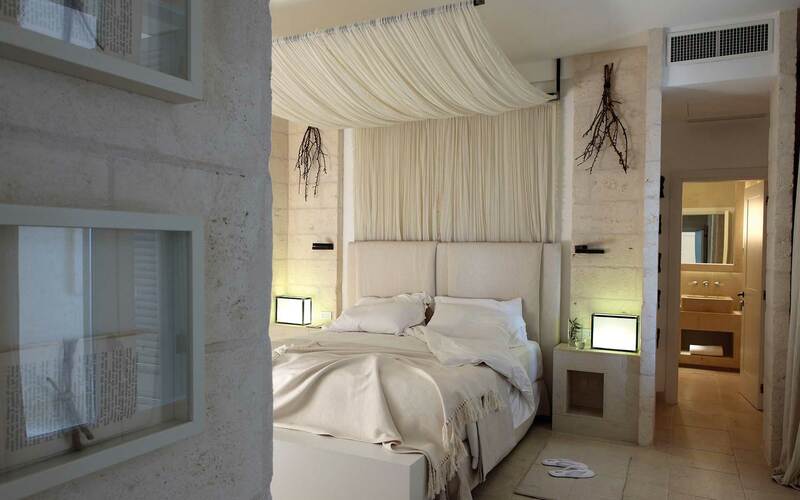 Suite Egnazia: The most sought after suite of the Borgo Egnazia hotel. The suite counts 125sqm of details and comfort. A large bedroom enchants with a king size bed and a spacious wardrobe. A bathtub is placed in the center of the large bathroom to relax and enjoy peaceful moments. The living room features an impressive fireplace and comfortable sofas. Borgo Splendida: Intimate and cozy, this 45 sqm room has a small private veranda. The room is spacious and the bathroom is tastefully decorated in stone, with a telephone, a double sink, tub and shower. The rooms on the ground floor have a private patio with small Arabian garden with table and chairs. The rooms on the first floor, instead, have a lovely terrace. Borgo Magnifica: The small private entrance anticipates a picturesque ambience and wonderful details. The room is spacious and the bathroom is tastefully decorated in stone, with a telephone, a double sink, tub and shower. A private terrace is a corollary to this 55 sqm spectacular room designed for two people. Casetta Bella: Welcome to an Apulian typical house of the past, but with the comfort of today to spend the vacation guests always dreamed of. The 55 sqm suite is divided on two floors, according to the tradition of the ancient old urban center: the living area is on the ground floor and sleeping area is upstairs. Casetta Magnifica: The Borgo area offers a 90 sqm sophisticated townhouse on two floors for 4 people. Villa Giardino: A suggestive villa with a swimming pool starting from 6,50x2,50 meters. Walk in the luxuriant garden, among the colours and the flavours of the olive trees, of the rosemary, of the jasmine and of the citrus. On the lower floor there is a bedroom for two, a large and lovely living room with a sofa bed, 46'' flat screen TV and home theater system, and a bathroom with shower. Villa Giardino Meditterraneo: A beautiful villa with a gorgeous swimming pool starting from 8 x 3 meters placed in the flourishing garden. The lower floor features a bedroom for two, a large and lovely living room with a sofa bed, 46'' flat screen TV and home theater system, and a bathroom with shower. Villa Magnifica: Accompanied by an infinite swimming pool starting from 10x3,40 meters, private garden, among olive trees, rosemary, jasmine and citrus. 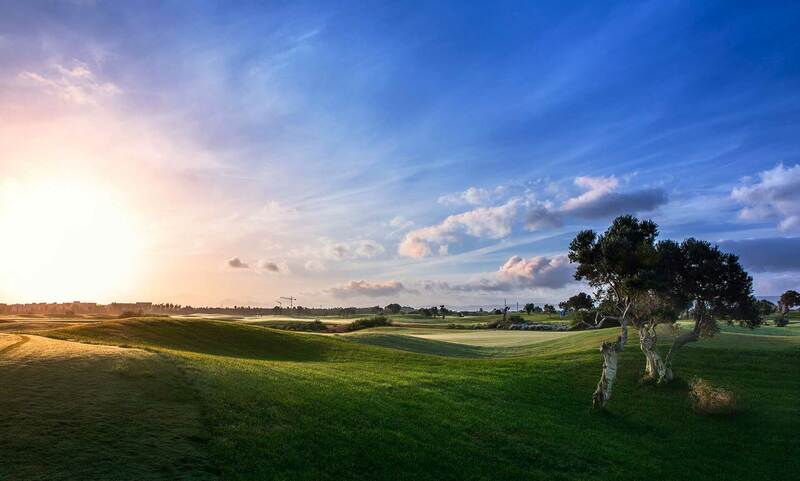 Designed for entertaining yet relaxing moments, in the panoramic terrace guests will breath the freshest air, the green belt of the countryside and the landscapes of the Adriatic Sea, the Valle d'Itria, the San Domenico Golf course and the whole Borgo Village. For further information, please contact one of our Travel Specialists at 604-736-7447 or contact us above and we would happily work with you to plan the perfect trip to Italy!